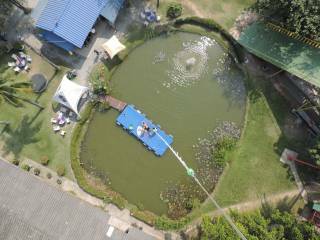 Join the elite few of adrenaline junkies who have experienced Bungy Jumping. Pattaya Bungy Jump is the highest Bungee Jump in Thailand and we have been in operation since 1989. 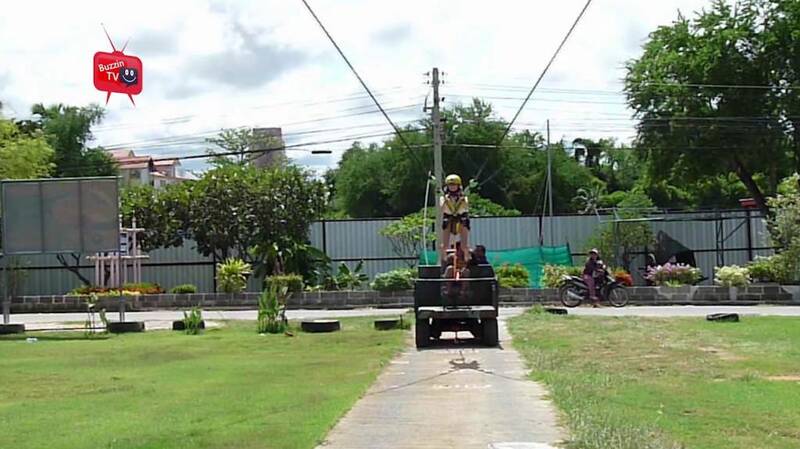 We operate under the SANZ (Standards Association of New Zealand) safety standard, which are the strictest in the world, indeed we are the only licensed and fully insured Bungee Jump in Thailand. 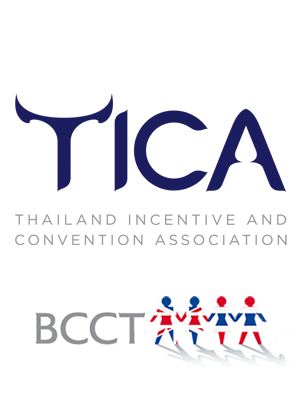 We have English, Canadian and Thai jump masters who will explain to you the safe procedure for jumping and will be able to answer any questions that you might have. 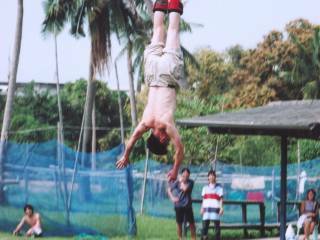 Once you are ready to jump, you will be taken up in the cage. Sit back, relax and enjoy the amazing views over the ocean and across all of Pattaya. 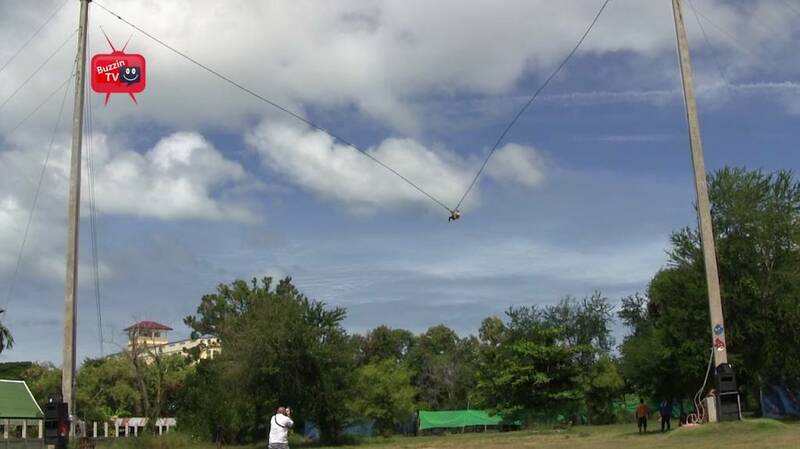 It takes just over a minute to reach the full jump height of 197feet (60m) and then get ready. 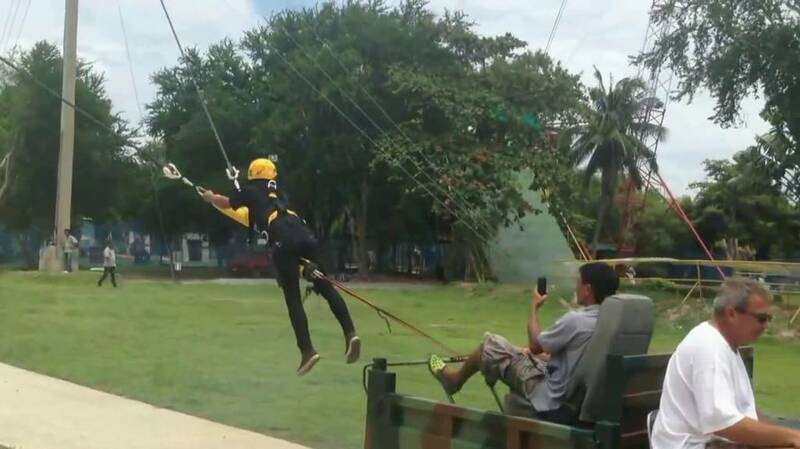 Fly through the air on the Human Slingshot for an adrenaline-fueled experience while visiting Pattaya. 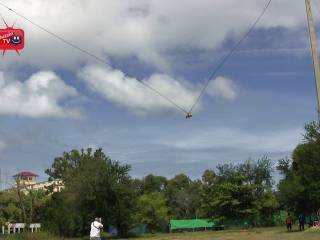 When ready, the slingshot tension is set as the staff pulls you horizontally backward to the starting location 130 feet (40 meters) behind you. 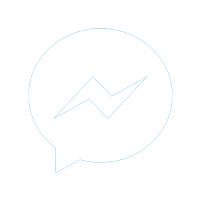 Once launched, the slingshot shoots you forward with a force of up to 4G and acceleration that can reach up to 90 miles per hour (150 kph) in less than one second. 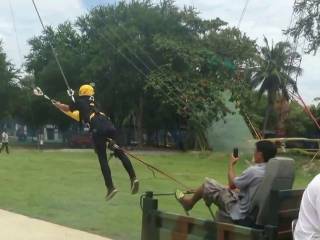 Before coming to a stop, you'll fly just a few meters above the ground, zipping back and forth. We have the luxury of a huge amount of green space, within a 10 minute drive of any Pattaya / Jomtien hotel. We are situated only 1Km from the beach. Parking is available on site for over 50 cars and 6 coaches. 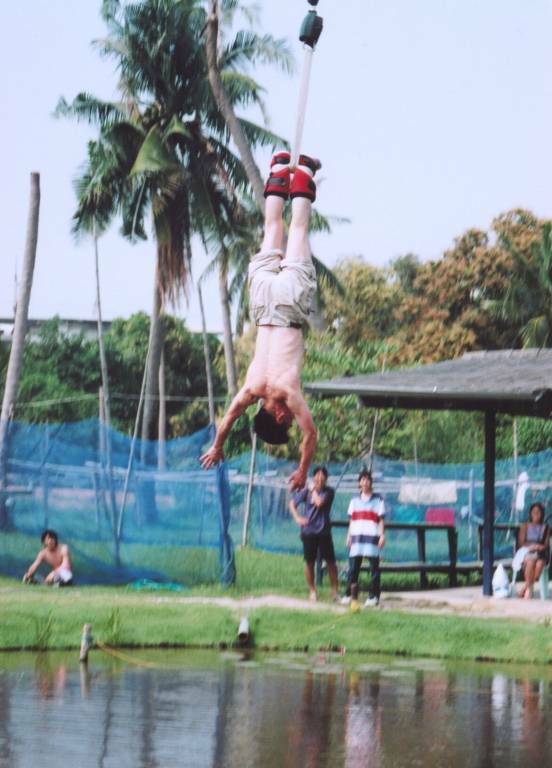 We have many adventure activities in the park and we are contantly adding additional attractions and games.